This was so fun and soooooooooooo sticky to make and yummy to eat!!! 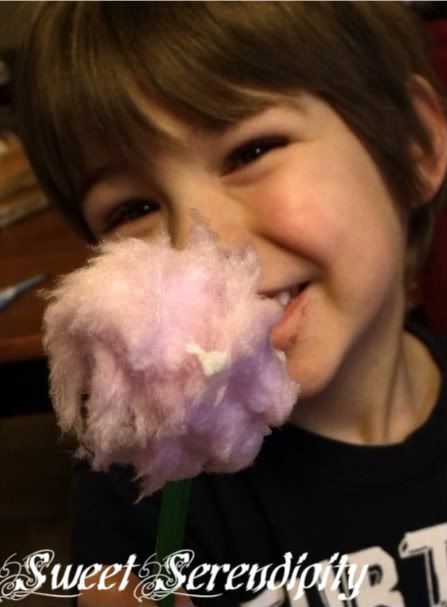 Tear a piece of cotton candy off and make into a ball shape and then wrap it around the end of the popsicle stick. 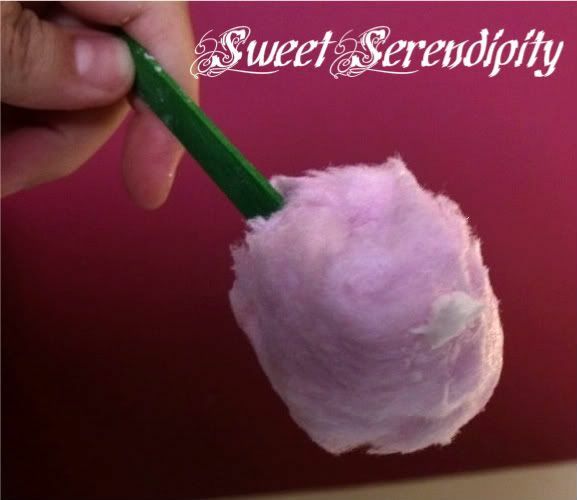 Make a small ball out of the refrigerated frosting and place it carefully on teh cotton candy around the top. These could be truffula trees from the Lorax too!